New Delhi [India], July 25 (ANI): Union Minister of State for Home Affairs Kiren Rijiju on Wednesday firmly stated that Rohingya Muslims are illegal immigrants and will not be allowed to reside in India for a longer time. Naypyidaw [Myanmar], May 31 (ANI): Regular incidents of violent attacks have been reported against Rohingya Muslims throughout Myanmar in 2017. Naypyidaw [Myanmar], May 21 (ANI): Out of the 8000 names submitted for repatriation by Dhaka a few months ago, Myanmar has urged Bangladesh to repatriate 2223 Rohingya refugees as soon as possible. Ankara [Turkey], May 20 (ANI): Owing to the holy month of Ramzan, a Turkish aid group organised Iftar for Rohingya Muslims in Bangladesh. 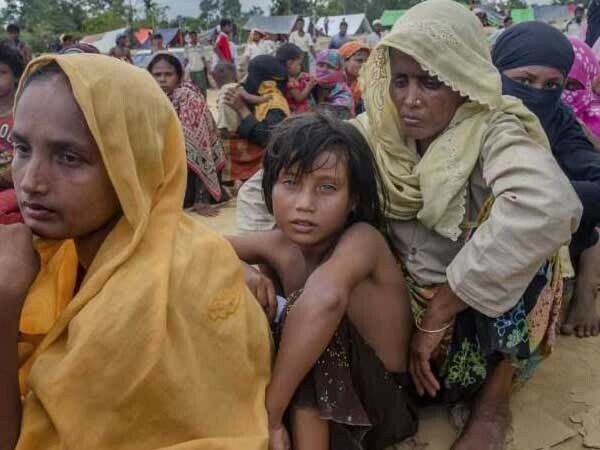 Dhaka [Bangladesh], May 4 (ANI): In the upcoming 45th session of the Organisation of Islamic Cooperation (OIC), Dhaka expects that the Council of Foreign Ministers to exert pressure on Myanmar for a sustainable solution to the Rohingya crisis. Kachin [Myanmar], May 4 (ANI): Not long after Myanmar army carried out targeted killings of Rohingya Muslims in the Rakhine state, it has now been accused of committing atrocities against Christians in the northernmost state of the country, Kachin. New York [USA], Mar. 13 (ANI): The United Nations (UN) on Tuesday warned that social media giant Facebook's platform is contributing to the spread of hate speech and ethnic violence in a crisis-hit Myanmar. Dharmanagar (Tripura) [India], Jan 16 (ANI): As many as six Rohingya Muslims were arrested from the railway station here on Saturday night. Cox's Bazar [Bangladesh], Jan 5 (ANI): More than 48,000 babies will be born in Bangladesh within this year, according to an NGO, 'Save the Children'. New Delhi [India], December 5 (ANI): The Supreme Court on Tuesday will resume the hearing of plea of two Rohingya refugees against the Centre's decision to deport Rohingya Muslims back to Myanmar. Dhaka [Bangladesh], December 04 (ANI): Bangladesh has called for a meeting of the United Nations Human Rights Council (UNHRC) to discuss the human rights issue of Rohingya Muslims in Myanmar.